Remember the time when I introduced drama comics? In case you don’t remember, 드라마 사진 만화 is like a manga version of the drama, but instead of drawings, you get real photo stills from the dramas! A must have. Now imagine this as an iPhone app!! AND in the Japanese version for the Korean drama!!!! 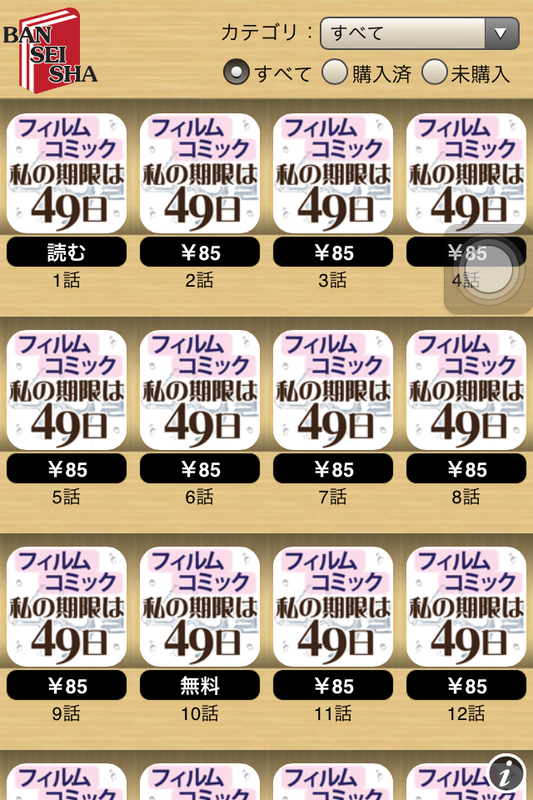 Even for those who are not learning Japanese, it’s a nice app to download if you love 49 days. The only ‘bad’ part? The app is only free for the 1st episode. To access all chapters, you have to pay 85 yen per chapter. Not sure how it will work (if you need Japanese credit card etc). The importance of a good 1st textbook .. and how to choose them!